There seems to be something about blue that people can’t resist – we find that although most clients come to us looking for a red or neutral, many end up falling for our blues. 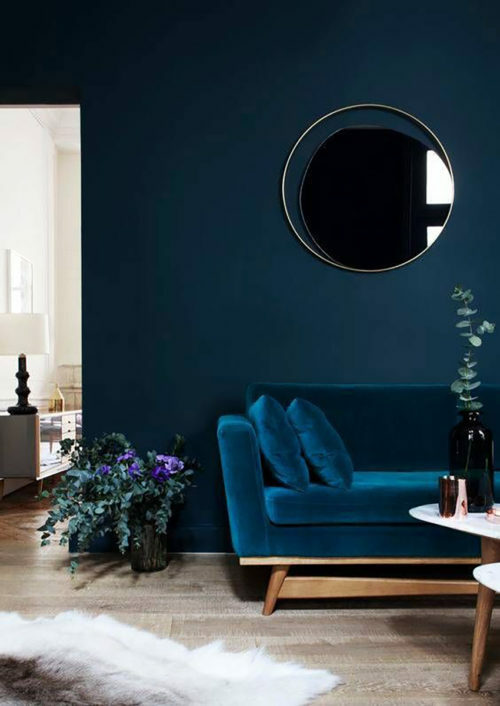 Carrying on from our Midnight Story, we take a closer look at decorating with this modern classic and help find a blue hue to suit your style. 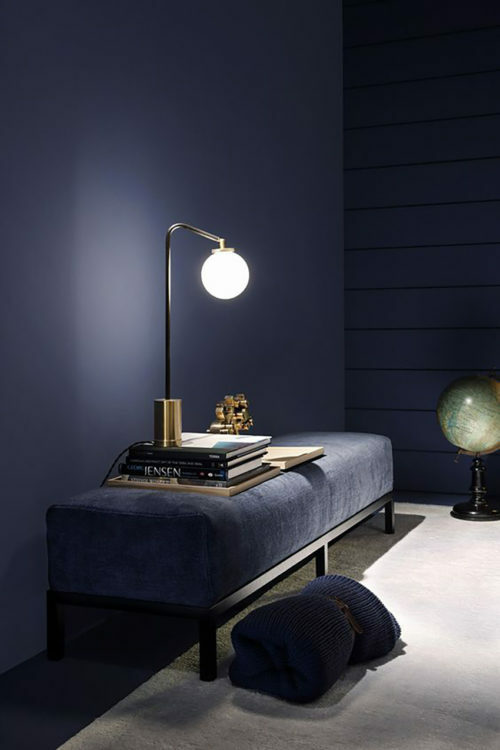 Navy tones have been growing in popularity over the past few years and this trend doesn’t seem to be stopping any time soon. The inky tones of Midnight work perfectly as a dark neutral – it’s endlessly versatile, working well as a standalone colour or as an elegant backdrop for furniture and accessories. The rich darkness of Midnight is perfect for adding a dramatic edge to your space – keep to a monochromatic palette and layer tones and textures to produce an atmospheric and sophisticated décor. The interior below uses bold areas of colour and adds touches of luxury with plush accessories; here the deep hue softly draws you in and works well with the warm metallics. Lighting has a dramatic effect on the colour and ambience of a room. Consider placement of lamps to create a moody cocooning feel. For more Midnight blues see our full colour story here. 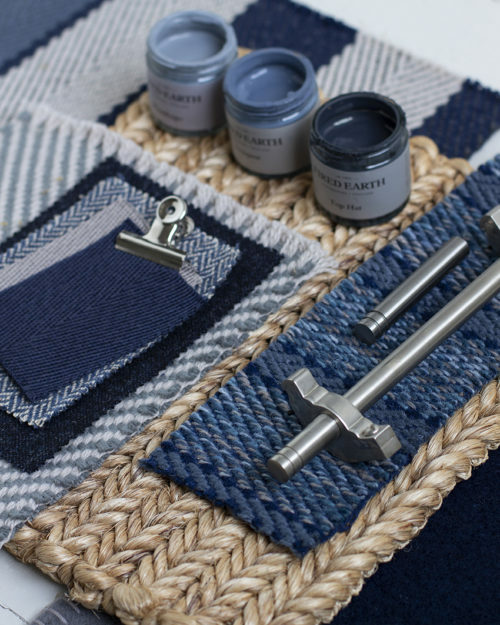 Nautical has been a long-standing trend in the world of interiors. However, gone are the clichéd days of creating themed rooms. Instead we look to bring the serene, calming qualities of coastal living to our homes, creating a permanent reminder of sunny days by the sea. A good place to start is by playing with colour. 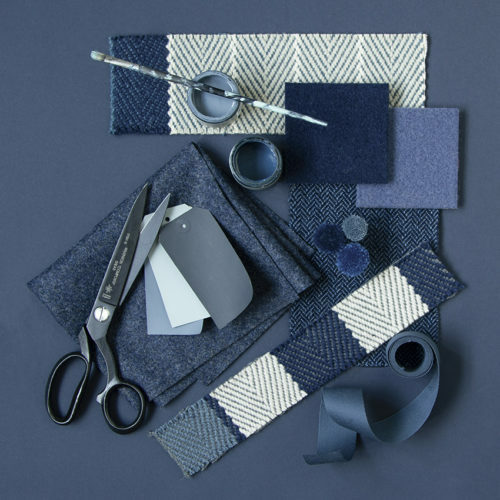 Think chalky whites, sandy neutrals and tones of navy, sea greens and greys. 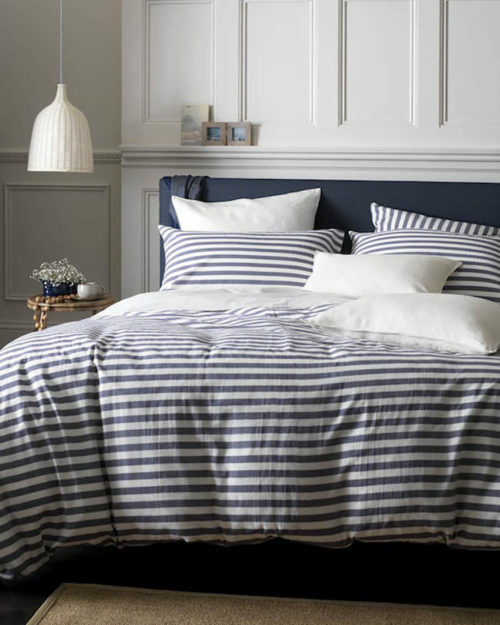 The classic tones of navy pair beautifully with white, and the addition of pattern in the form of stripes combined with natural finishes will create a soothing coastal vibe. 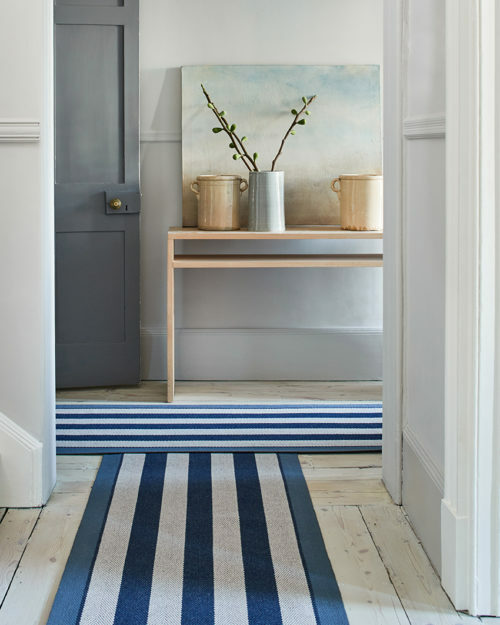 Nothing says ‘coastal’ more than stripped floorboards and a stylish striped rug! 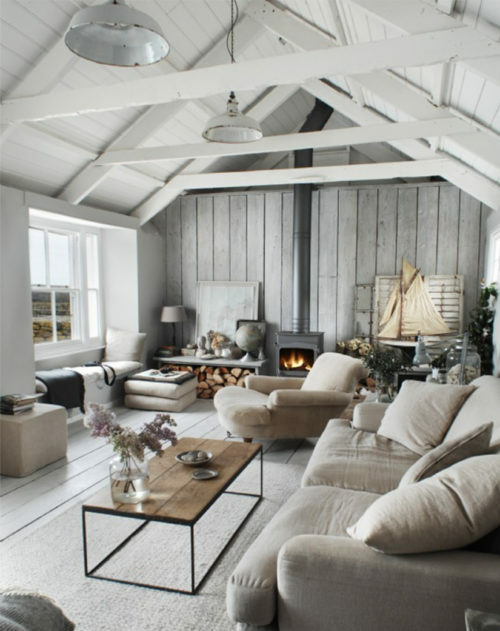 A weathered, faded look is the essence of coastal interiors. Opting for a muted colour palette of whitewashed walls and floors will transform your room, filling it with space and light. Subtle changes in tones of paint, furniture and accessories will create a natural white backdrop without things looking clinical. Add touches of blue for a subtle pop of colour. 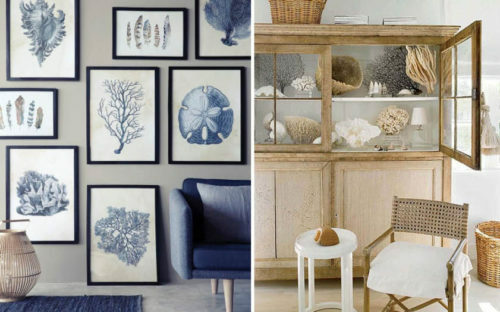 The sculptural nature of shells, coral and driftwood, as well as carefully selected artwork, will bring the rejuvenating and relaxing beach feel into your home. Of course, flooring is key to the overall look of a room and can completely transform a space. Browse our Flatweave collection for more inspiration. 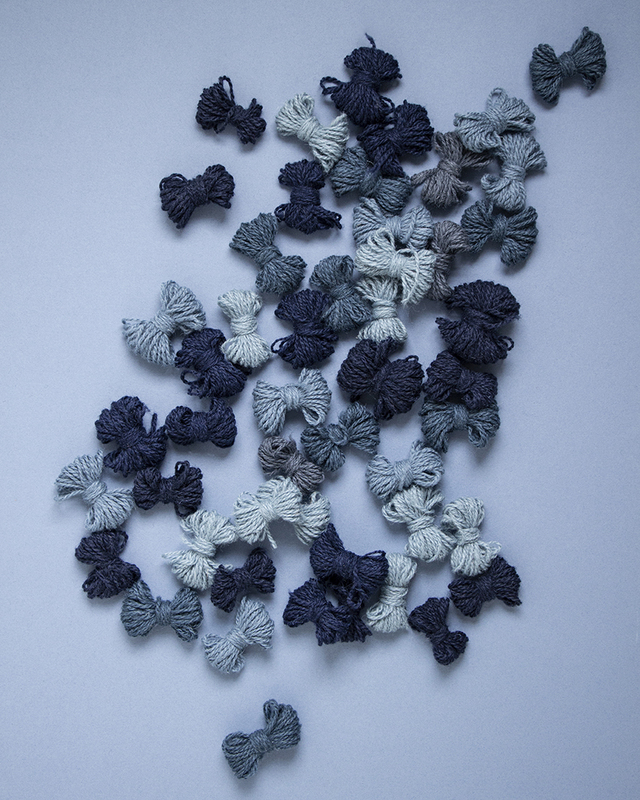 In our next blog post we explore Soft Blues and Teal. Until then, view our Pinterest boards and discover #blueinteriors on Instagram.